*Motivated Sellers*'2-for-1 Investor Special''Invest in the Winthrop Manor, a multi-family property with 12,700 sq.ft rentable space, including 26-bedrooms, commercial kitchen, 40-seat dining room, large lobby, and offices located right downtown on Route 133. Next door is the bonus property: a move-in ready 3 bed/2 bath 1,400 sq.ft Cape Cod-style house worth over $150,000 by itself!The Manor has 3 rental units (3/1, 1/1, 1/1) already completed and rented. Many recent upgrades to plumbing, electrical, HVAC, and fire safety systems.Priced for investors desiring increased income by refurbishing and renting the remaining units and developing their own vision for the space (Bonus units? Restaurant? Offices? Retail?) for even more income. 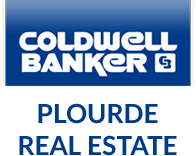 Coldwell Banker Plourde Real Estate participates in MREIS' Maine Internet Data Exchange (Maine IDX) program, allowing us to display other Maine IDX Participants' listings. This website does not display complete listings. Certain listings of other real estate brokerage firms have been excluded. Mortgage figures are estimates. Check with your bank or proposed mortgage company for actual interest rates. This product uses the FRED® API but is not endorsed or certified by the Federal Reserve Bank of St. Louis.